Due January 8 – the singer’s 69th birthday – the follow-up to 2013’s “The Next Day” was produced by Tony Visconti and recorded at the Magic Shop in New York. "We were listening to a lot of Kendrick Lamar," Visconti tells Rolling Stone. "We wound up with nothing like that, but we loved the fact Kendrick was so open-minded and he didn't do a straight-up hip-hop record. "He threw everything on there, and that's exactly what we wanted to do. The goal, in many, many ways, was to avoid rock & roll." 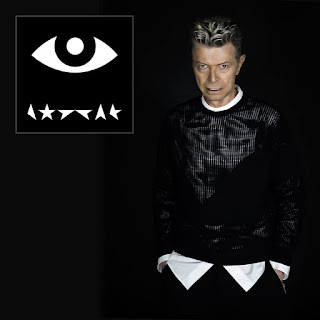 The album was first previewed last month with the title track and now Bowie offers “Lazarus” ahead of its release. The song is the only track from the project also featured in the current New York stage production of the same name written by Bowie and Enda Walsh and directed by Ivo Van Hove.